Jena is a Boston native, but relocated to join family here in Lake Mary. She joined the LEAH team in February of 2014. 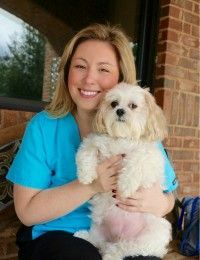 She has former experience in hematology/oncology, but is currently enjoying working with four-legged patients. Outside of work she loves rooting for the New England Patriots, going to see live music, and spending time with her nephew. At home she is joined by her side-kick, a Lhasa Apso named Chewy, as well as her two rambunctious cats, Miss Mia Wallace and Vincent Vega. Abby was born and raised in Kentucky, moved to the Florida panhandle with her family as a teen, and then to Orlando to attend UCF. She enjoys all sports, especially soccer which she plays every weekend. Abby has one dog, Sophie, that she adopted as a puppy from a shelter. She recently adopted Elliot, a very naughty but extremely lovable kitten! Brian is originally from Johnstown, PA, he has a background in customer service and joined the Lake Emma reception team in April 2015. In his spare time he enjoys watching movies and hanging out with his two Cairn Terriers, Kobie and Jackson. 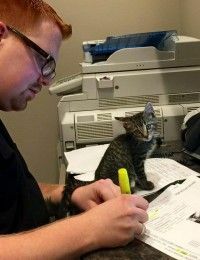 He recently expanded his fur family with the addition of a new kitten, Rhys (pictured). Jeanette joined our staff in August of 2007. In her spare time she enjoys playing Golf, going to Trivia Nights, and spending time with her husband. 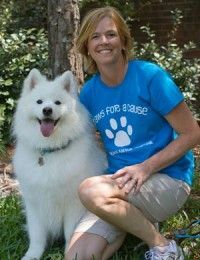 At home, she has a Samoyed named Nikki. Pictured with her dog, Nikki. Kaitlin joined our staff in April of 2003. Currently, she is working on her Bachelors Degree in Anthropology. She plans on going to graduate school for Medical Anthropology and Health Sciences. 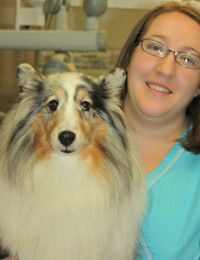 At home, Kaitlin has 4 Shetland Sheepdogs named, Zoey, Cruiser, Echo and Emme. Lindsay is originally from Pittsburgh and moved to central Florida two years ago. 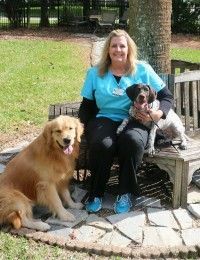 She started working at Lake Emma in October 2014. 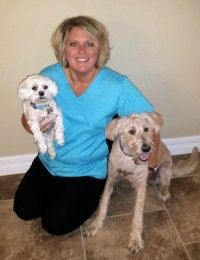 She shares her home with her husband Steve and their dogs Libby (Maltese) and April (Labradoodle). 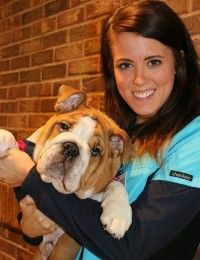 In her spare time she can be found cheering on the Steelers, outside playing with her dogs and spending time with friends and family.